Blog Home > Business Development Director - Mike Edwards > Great DIY present for Christmas! 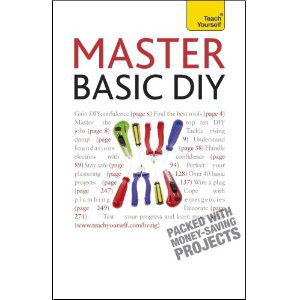 Don’t forget that ‘Master Basic DIY’ by DIY Doctor founder, Mike Edwards, is available directly from us for only £6.00 (incl. P&P). The book is part of the ‘Teach Yourself’ series and gives step-by-step instructions and clear diagrams on over 40 projects, from the basics such as changing a plug and repairing a dripping tap, to building a soakaway and building a partition wall. It would make a great Christmas present for anyone who may be starting out in the world of DIY or for someone with much more DIY experience. about ‘Master Basic DIY’, click here.